Very good ale of what appears to be their own concoction. Lovely atmosphere of an evening and set far enough back from the sea front that you don''t get so many plebs in there. Friendly staff. 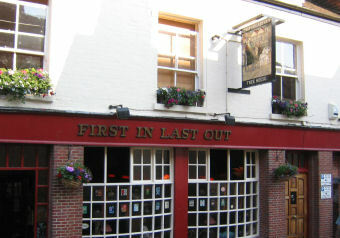 Essential pub for visitors to Hastings. The FILO brewery offers distinctive, high quality beers, including the ultra hoppy Churches Pale, the classic Crofters bitter, Cardinal porter, premium Gold and the ginger infused Old Town Tom. The pub also offers some of the best home cooked bar food in Hastings - none of your heated up freezer foods and the goujons of cod are especially recommended as an upmarket version of fish and chips. The decor is quaint but the ambience manages to make both the diners and the beer drinkers feel comfortable. As mentioned by previous reviewers this is the official Filo Brewery tap. The wife and I visited here late afternoon on a Saturday, it’s another busy pub in the old town area no spare seats so it was standing room only until someone left. An older style pub with a large fireplace / well in the middle of the bar near the toilets, carpeted throughout in a 1980’s family home style! 5 of their ales on, this is a new brewery for me so I had a pint of Churches @ 4.2%, in addition to the 5 FILO ales they also had Adnams Broadside on. We only stopped for as long as it took us to drink our drinks, a nice enough pub and maybe on my next visit I’ll work through the taps and spend a bit longer here. I had high hopes. Yes, range of ales is good, however they were very badly kept (I tried three). Cannot make up my mind if interior irks because they couldn't be bothered to spend money on an update since 1972, or if they have spent a lot of money on the 'retro' look. Either would be slovenly and unimaginative. Never mind. 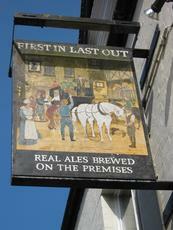 Many better pubs in the locale to decide from. 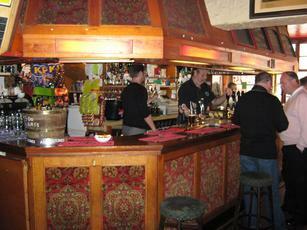 Very friendly, a good range of real ales and good food. The first time we were there, they had a couple of superb guest ales on, one from Darkstar (Revelation?). The second time they only had their own beers (brewed just down the road) but we found at least three of them very drinkable and interesting.